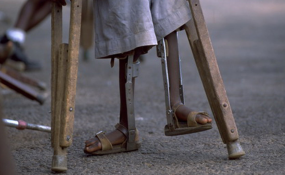 According to the World Health Organisation (WHO), after three years of no incident of the virus on the African continent, official 'certification' of polio eradication would be conducted at the regional level. These, Shuaib said, include presentation of the country's complete documentation to the African Regional Certification Commission (ARCC) in December during their third meeting. "The PEI Programme in Nigeria, domiciled in the National Emergency Operations Centre for Polio within our agency, NPHCDA, is working assiduously to ensure this happens come December," he enthused. Shuaib noted that the PEI activities were ongoing despite the situation in Borno and the North East, adding that they were working with all development partners and governments in the zone to ensure qualitative vaccination for children in the internally displaced persons' (IDPs) camps and host communities. He further explained: "As we have explained earlier, the declaration is not in July but when our documentation is accepted by the ARCC in December 2019 when the National Polio Certification Committee (NCC) would have presented our complete documentation report to the ARCC." The NCC is an independent body of experts chaired by erudite professor of community medicine and public health, Zubair Iliyasu, with other members drawn from the academia to independently assess the progress of the PEI programme towards the nation's getting a clean bill of health.